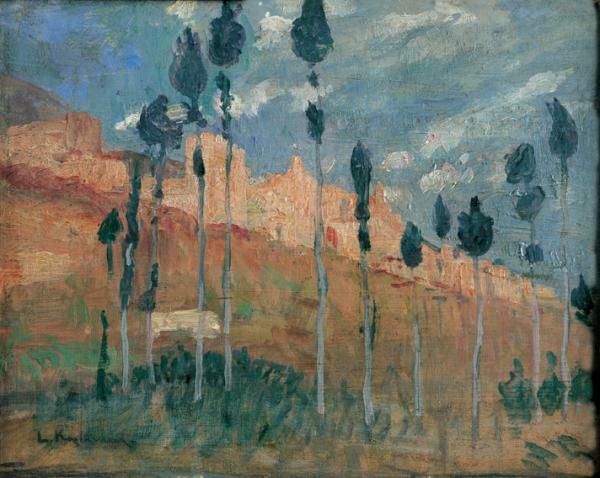 Aged 16, he left for Rome, and from there for Paris, where he studied at the Grande Chaumière and Julian academies. In 1908 he returned to Greece to be conscripted into the military and then went back to Paris via Munich. He participated in the Balkan Wars, and the Greek government appointed him as a representative to the Artists Convention in Paris. 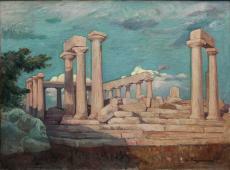 In 1918 he showed a series of works inspired by the Northern Epirus war front. 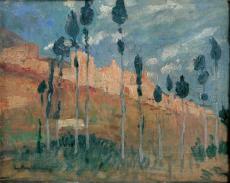 His meeting with the printmaker André Dunoyer de Segonzac, in 1921, directed his interest also towards printmaking. In Paris, where he lived until 1933, he received a gold medal at the Exposition Internationale des Arts Décoratifs et Industriels Modernes (1925). In 1922 he published his first large-format book of views of the Mount Athos monasteries; more books followed, brought out by major Paris publishers until 1939. He introduced aquatint into Greek printmaking; he especially loved the depiction of landscapes, in both his painting and printmaking.